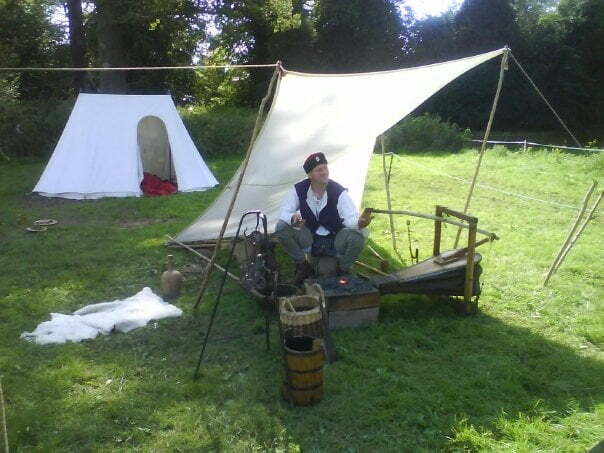 When not demonstrating gunnery our members undertake a variety of crafts in the encampment. Cooking is done everyday by the kitchen team, in addition to a buffet style lunch a hot evening meal is made to an authentic recipe, preparation and cooking are on going throughout the day. 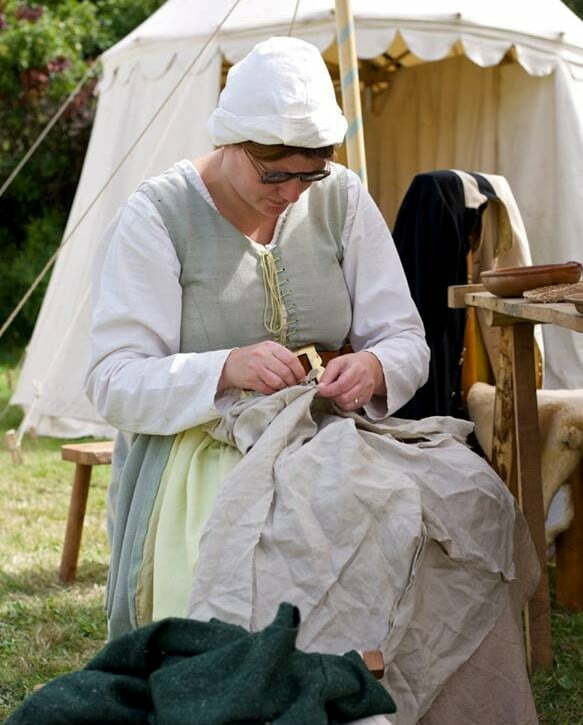 The ladies are often busy making or repairing clothing or embroidering which was a popular leisure activity for women of the time. We can also spin, dye, weave and felt. These are all the processes needed to take a raw fleece from it’s natural state to finished cloth. We can provide fleece from a flock of sheep that are of a medieval breed. Herbs and natural remedies were used to treat all manner of illnesses and injuries. 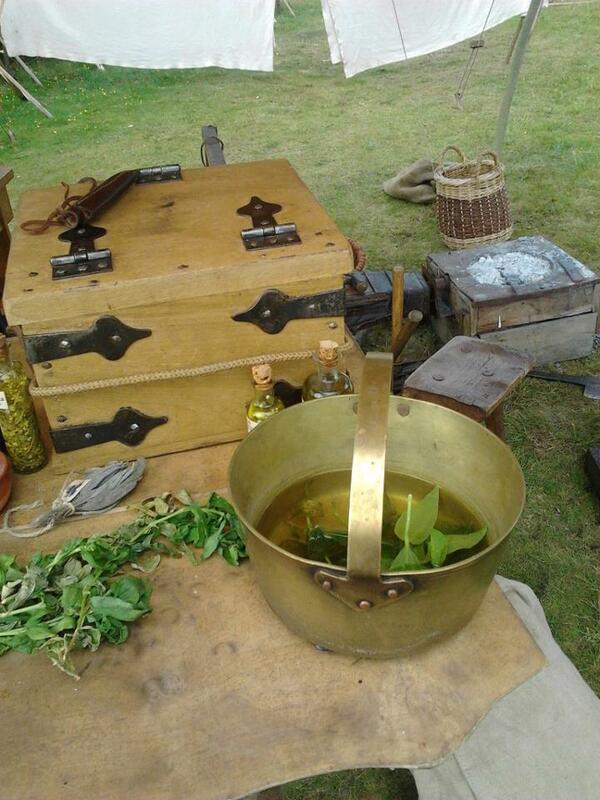 A herbalist is sometimes found in the camp with a variety of healing herbs. She can explain what the herbs were used for and talk about the doctrine of signatures (a belief that if a plant resembles a part of the body it could be used to cure afflictions that affect that part of the body). We have a skilled jeweller in the compagnie and he can often be found trading his wares or working on new pieces. Another craft that is sometimes undertaken in camp is leather working. Leather was used for a wide variety of goods such as shoes, belts, bags and knife sheathes. We sometimes have a leather worker creating pieces in camp. 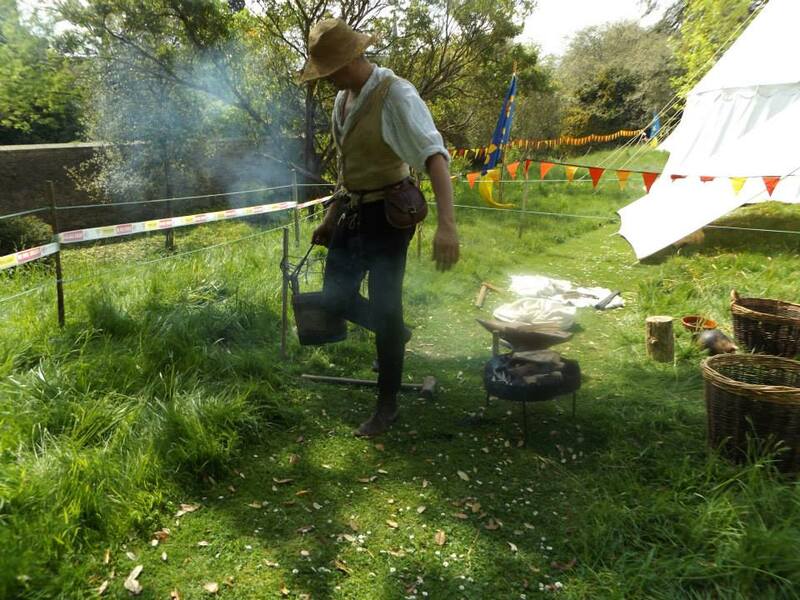 We have a portable forge that can be set up on site and used for a number of crafts, from smithing new gun parts to casting pewter badges.